Lewis's devil Screwtape explains the situation to his young nephew this way: "Never forget that when we are dealing with any pleasure in its healthy and normal and satisfying form, we are, in a sense, on the Enemy's ground. … He made the pleasures. … All we can do is to encourage the humans to take the pleasure which our Enemy has produced, at times, or in ways, or in degrees, which He has forbidden." By valuing too highly a real but subordinate good, we … come near to losing that good itself. The woman who makes a dog the center of her life loses, in the end, not only her human usefulness and dignity but even the proper pleasure of dog-keeping. … Every preference of a small good to a great, or a partial good to a total good, involves the loss of the small or partial good. … You can't get second things by putting them first; you can get second things only by putting first things first. These real but subordinate goods come in endless variety besides the sorts of activities which are typically given up for Lent, things like eating sweets, smoking, or drinking Coke. Human curiosity, for example, is one of these real goods which must have its ordinate place. We see its proper role in the lives of the four Pevensies when they decide to explore the Professor's house. As the narrator tells us, "That was how the adventures began." The Professor's house is described as having a whole series of rooms lined with books, an indicator of the goodness of curiosity in its proper place in the Professor's life and vocation. It was not always like this. In The Magician's Nephew, Digory's healthy sense of curiosity became inordinate as he forcibly made Polly stay in Charn while he struck the mysterious bell to find out what would happen. As Jonathan Rogers has noted, here Digory shows "an excessive desire for knowledge." It is fitting that at this point Polly tells Digory he looks just like his Uncle Andrew. But lest we react too strongly and reject curiosity or any other created thing altogether, Lewis also includes in The Magician's Nephew one of the most awe-inspiring creation scenes in all of literature, as Aslan sings Narnia into existence—each star, stag, bird, and blade of grass. You may choose to despise the things of this world, Lewis seems be saying, but know that they came from the Creator's loving hand with a very different relationship in mind. "A properly Christian view of things requires more than a right relationship to the things of heaven," Jonathan Rogers writes. "It requires a right relationship to the things of earth too." 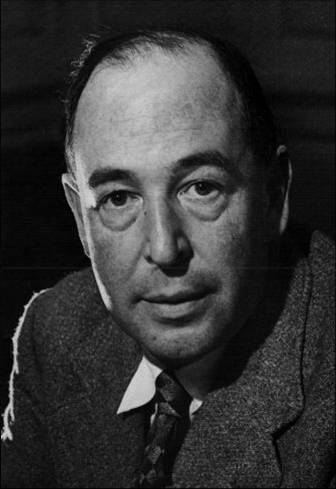 Rogers concludes that "by allowing the reader to watch the creation of another world, C. S. Lewis evokes an appropriate awe and delight in the things of this world." As we enter into the season of Lent, it might be helpful to see these 40 days not so much a time of renunciation (unless, of course, we have things to renounce) but a time of reordering, a time to slow down, step back, and carefully examine the things we have actively made or passively allowed to become the first things and second things in our lives. Devin Brown is a Lilly Scholar and a Professor of English at Asbury University. He is the author of Inside Narnia (2005), Inside Prince Caspian (2008), and Inside the Voyage of the Dawn Treader (2010).